Most Reverend Michael J. Byrnes, S.T.D. Archbishop Michael J. Byrnes, S.T.D. Michael Jude Byrnes was born in 1958 in Detroit to Patrick and Marie Byrnes. He grew up in Detroit, where he attended Edison Elementary School (1963-64), St. Mary of Redford Elementary and Junior High (1965- 72), and Detroit Catholic Central High School (1972-76). He then attended the University of Michigan in Ann Arbor, earning a Bachelor of Science degree in Microbiology in 1979. Until August 1981, he served as a lab assistant in the department of biological chemistry in the University of Michigan Medical School while also serving as a part-time campus minister. Archbishop-designate Byrnes continued as a campus minister through University Christian Outreach, which serves the campuses of the University of Michigan and Eastern Michigan University, and worked in that capacity until 1985. Active in the Charismatic Renewal movement, he served as office manager for the outreach group Servant Ministries in Ann Arbor from 1985 until 1990. He entered formation at Sacred Heart Major Seminary in Detroit in 1990, where he later earned a Master of Divinity degree and a Master of Arts degree with a concentration in Scripture. He was ordained May 25, 1996, at the Cathedral of the Most Blessed Sacrament in Detroit by then-Archbishop Cardinal Adam Maida. Archbishop Byrnes considers his great-uncle, Fr. 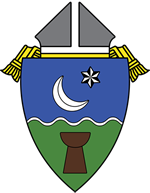 Remy McCoy, an order priest of the Missionaries of Africa who served in Ghana, as a major influence on his path to the priesthood. Fr. McCoy passed away in 1990. Archbishop Byrnes began his priestly ministry as associate pastor at St. Joan of Arc parish in St. Clair Shores and as an adjunct faculty member at Sacred Heart Major Seminary. He served in those roles until 1999, at which time he departed to Rome to study at the Pontifical Gregorian University. He earned his Doctorate in Sacred Theology in 2003. Returning to Detroit, he joined the faculty of Sacred Heart Major Seminary and served as weekend assistant at three Detroit parishes: Presentation/Our Lady of Victory, St. Gregory the Great, and Church of the Madonna. In January 2004 he was named Vice Rector of Sacred Heart Major Seminary and also pastor of Presentation/Our Lady of Victory, where Deacon Hubert Sanders is the deacon administrator. Additionally, between 2007 and 2009, he served on the archdiocesan Presbyteral Council. After being ordained a bishop on May 5, 2011, Archbishop Byrnes assisted Archbishop Vigneron in pastoral oversight of the northeast region of the Archdiocese of Detroit, which includes parts of Macomb, St. Clair and Lapeer counties. In October 2012, Archbishop Byrnes was asked by Archbishop Vigneron to lead key efforts in the Archdiocese of Detroit related to evangelization. These efforts include the Unleash the Gospel New Evangelization initiative and the upcoming Archdiocesan synod. Archbishop Byrnes’s father and stepmother, Roberta, live in Farmington Hills; his mother passed away in 1991. He has one brother, three stepsisters, four nieces and two nephews. Among Archbishop Byrnes’s passions is participating in marathons and triathlons.